Freedom Network [FN] has appealed to the federal and provincial governments and military authorities to extend all possible assistance and help to over 30 journalists from North Waziristan who have been displaced from their homes in the Federally Administered Tribal Areas by the launch of the military operation against local and foreign militants. “We are worried for the safety and wellbeing of these journalists and call upon the civilian and military authorities to help mitigate the sufferings of these tribal journalists,” FN, Pakistan’s first media watchdog monitoring freedom of press and freedom of expression and online freedom (www.freedomnetwork.org.pk), said on Sunday (6 July 2014) in a statement. The federal government has announced special relief packages for the nearly half a million internally displaced persons (IDPs) who had to leave North Waziristan Agency to avoid casualties. No such relief has been announced for the journalists. 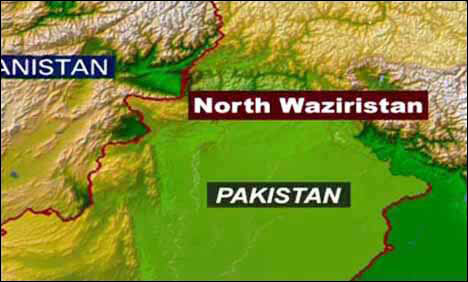 FN said all journalists – 32 registered members of North Waziristan Agency chapter of Tribal Union of Journalists (TUJ) – left the tribal agency along the border with Afghanistan after authorities “advised” them to leave as their security “is not guaranteed” following the operation announced by the Inter-Services Public Relations (ISPR), the media wing of the armed forces on 15 June 2014. Noor Behram, president of North Waziristan TUJ, told FN no help or assistance had come so far from any side for his colleagues living outside North Waziristan as internally displaced persons (IDPs). “No help has arrived nor has been pledged so far,” he said on the phone from Bannu district near North Waziristan. “We need financial help to pay rent, buy kitchen items and get dresses for children and women who have left everything in their homes as local authorities forced a swift evacuation on security grounds towards safer places,” Behram went on say. FN brought these sufferings of North Waziristan journalists to the notice of Corps Commander Peshawar Lt Gen Khalid Rabbani on Friday (4 July 2014) who promised to address these issues of tribal journalists. Through its statement FN has also expressed concern at the woefully inadequate arrangements to facilitate tribal and other journalists stationed in Bannu who are doing a national and public service under difficult circumstances by covering the military operations from outside North Waziristan. “No media center has been set up in Bannu where the national and international media is working in dismal conditions to report one of the biggest military operations against the Taliban and al-Qaeda militants,” Behram said. “We urge both civilian and military authorities to facilitate the media as much as possible to let the nation and the world be informed of the military action,” the FN statement said. FN also appealed to the employers of the journalists and media houses to announce special relief packages for their staff from North Waziristan Agency and their families who, as IDPs themselves, are facing difficult economic challenges, adding that the relief can be in the shape of rent and ration cover for at least three months as well as salaries paid on time for at least this duration.